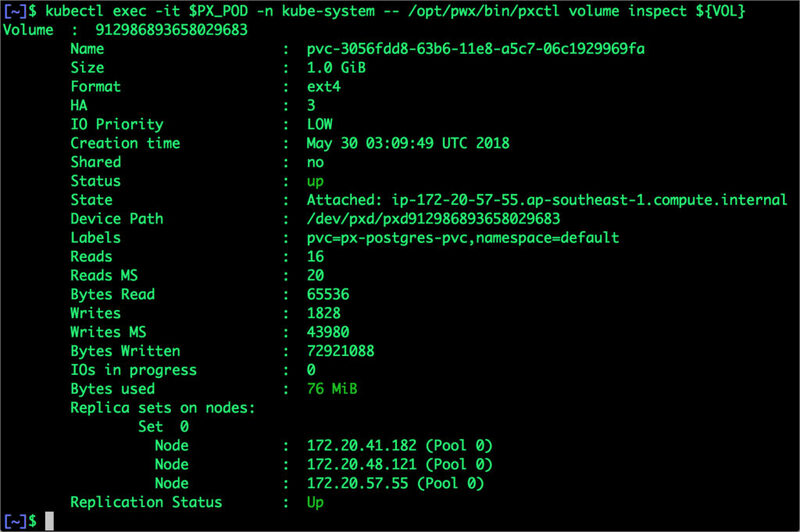 This tutorial is a walk-through of the steps involved in deploying and managing a highly available PostgreSQL cluster on a Kubernetes cluster deployed in AWS through RKE. 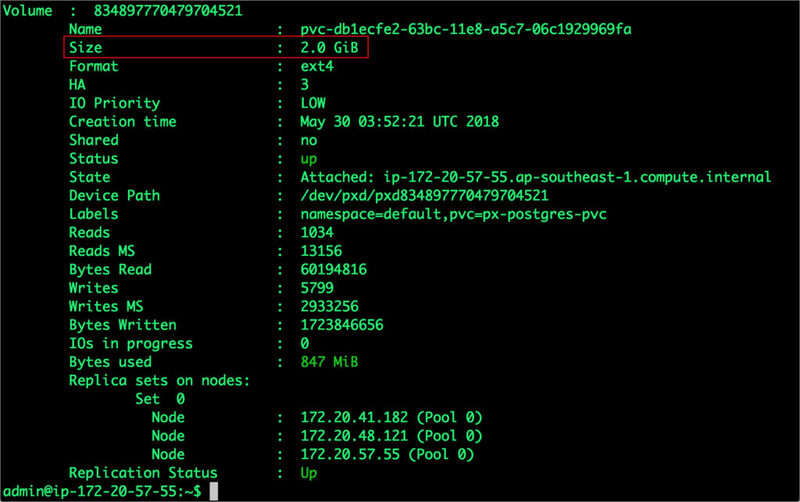 Once the Kubernetes cluster is up and running, and Portworx is installed and configured, we will deploy a highly available PostgreSQL database. 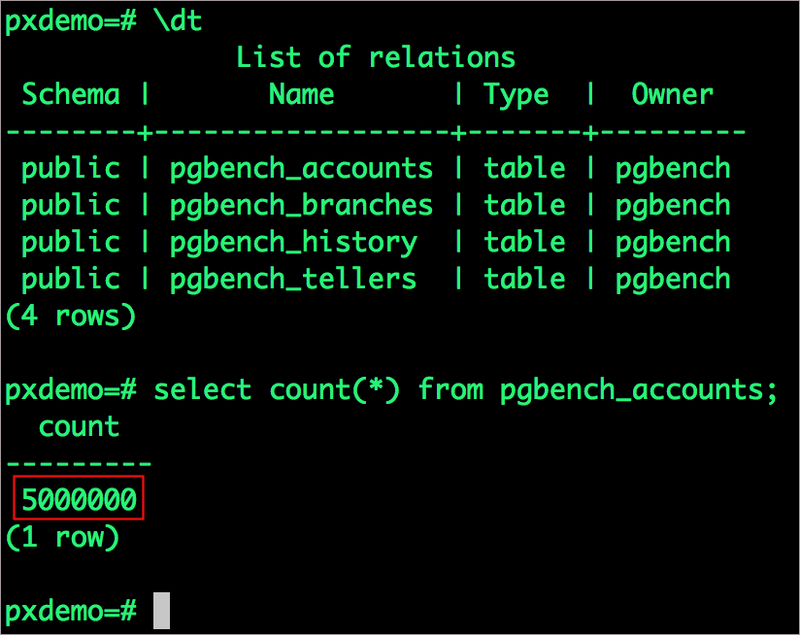 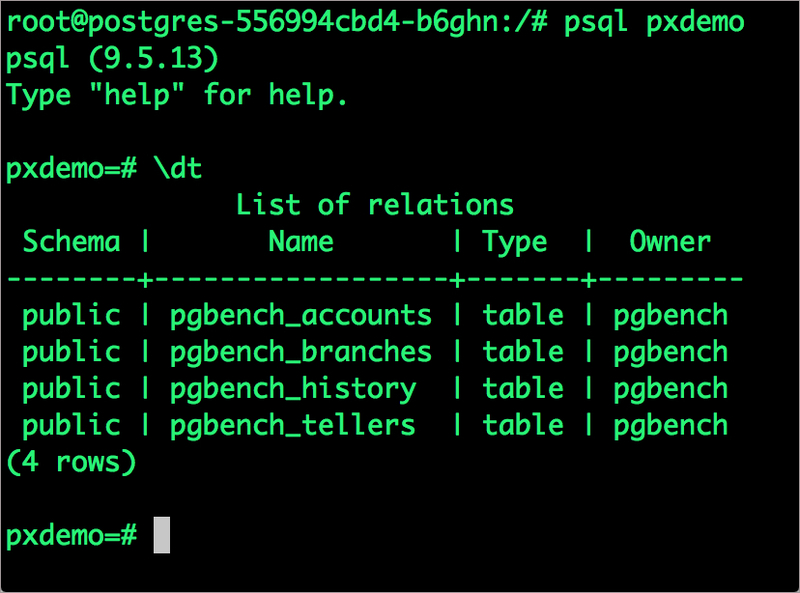 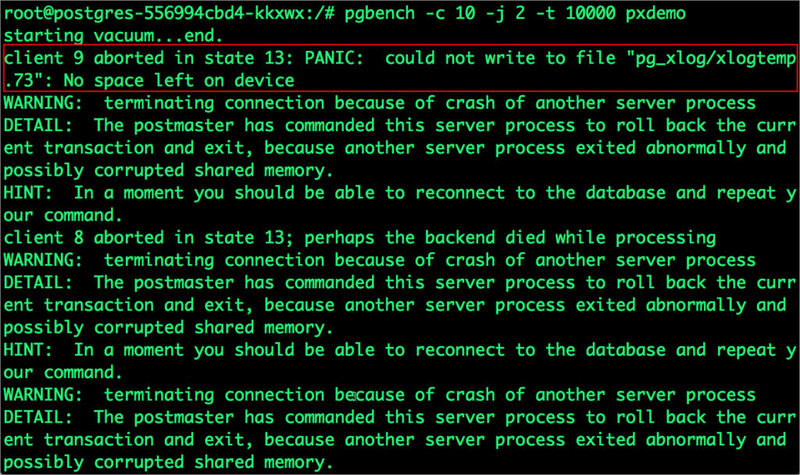 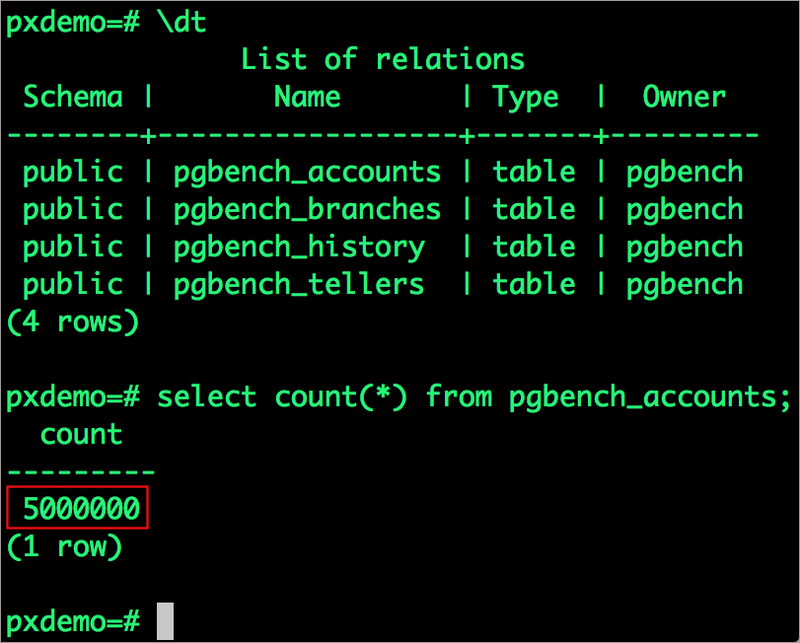 The output from the above command confirms the creation of volumes that are backing the PostgreSQL database instance. As soon is it deleted, Portworx STorage ORchestrator for Kubernetes (STORK) relocates the pod to make one of the nodes that has a replica of the data. 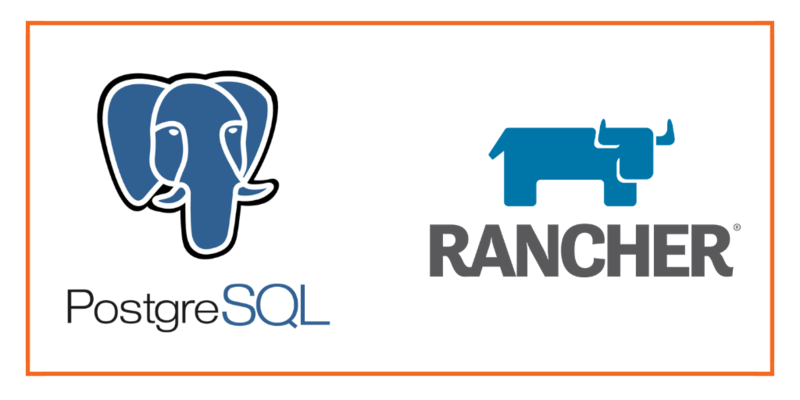 Let’s create a snapshot of the PVC we created for Postgres.